Mark began his career as a Loan Officer with James B. Nutter & Company in February of 1998. He began with FHA Streamline loans and quickly moved on to fully qualifying FHA, VA and Conventional Loans. He now has over 15 years of experience with all kinds of refinancing, including cash-out and debt consolidation loans. He is currently licensed in both Kansas and Missouri, so he would be able to help you on either side of the state line. Over the past several years, he has been a member of the Kansas City Chapter of the Mortgage Bankers Association (MBA). And in 2017, he was appointed President of the Kansas City Chapter of the MBA. The MBA has been instrumental in maintaining the integrity of the industry, as well as protecting the interest of the consumer. In 2017, he was also featured as a ‘Top Mortgage Professional’ in the Mortgage Edition of Top Agent Magazine. He is extremely invested in his community. He has volunteered with the Lees Summit Baseball Association for over 10 years, including serving as the Treasurer. He is also involved with the schools in the community, serving on the Executive Board of his son’s High School. 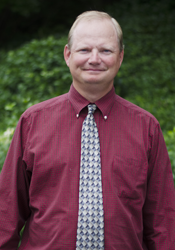 He graduated from Central Missouri State University with a Bachelor of Science in 1987.